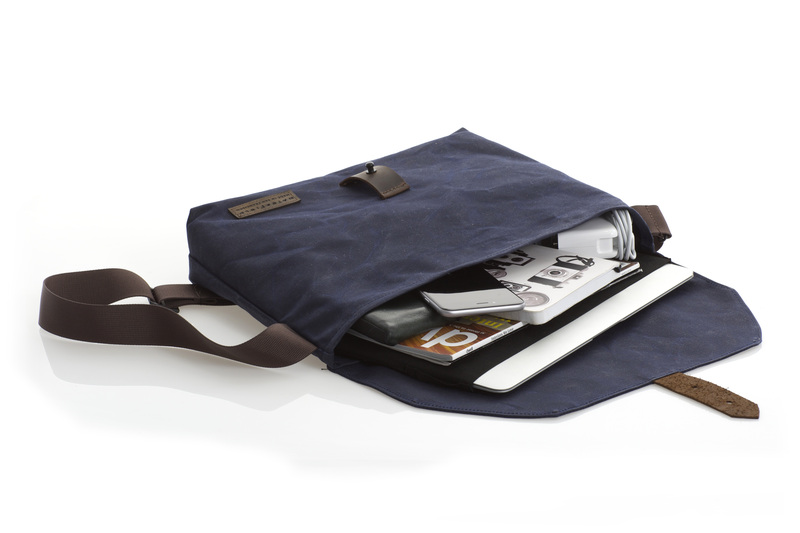 WaterField Designs unveils The Vitesse cycling musette for modern cyclists and city dwellers; sturdy waxed canvas, premium leather and new design features upgrade the simple, lightweight format. The Made-in-America Vitesse is available exclusively from the WaterField Designs online store. The Vitesse is beautiful in its simplicity – just throw your stuff in there, put it on and you’ve got the perfect bag for quick trips on the go, whether you’re cycling or just hanging around town. 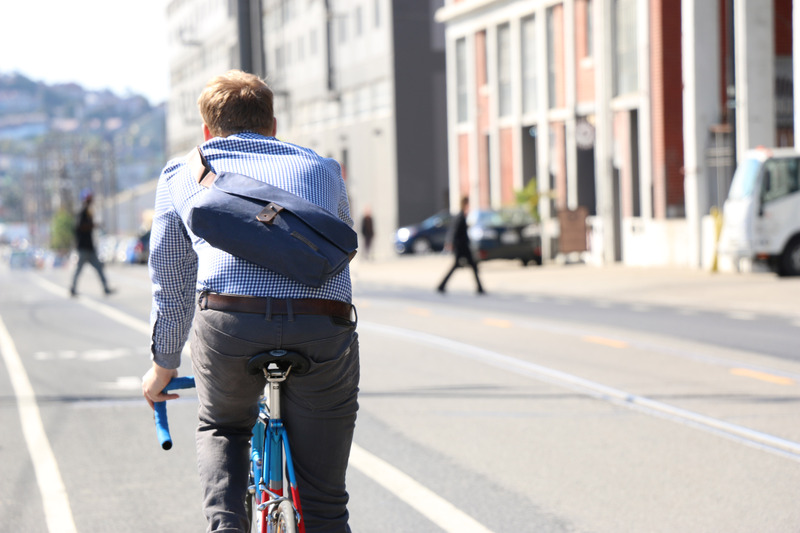 WaterField Designs, an innovative leader in custom laptop sleeves, bags and cases for digital-minded professionals, announces the Vitesse, a classic cycling musette redesigned for multi-functional use. Inspired by the classic bike musette, owner Gary Waterfield maintained the bag’s best features and added upgrades: enhanced comfort, improved materials and increased functionality. 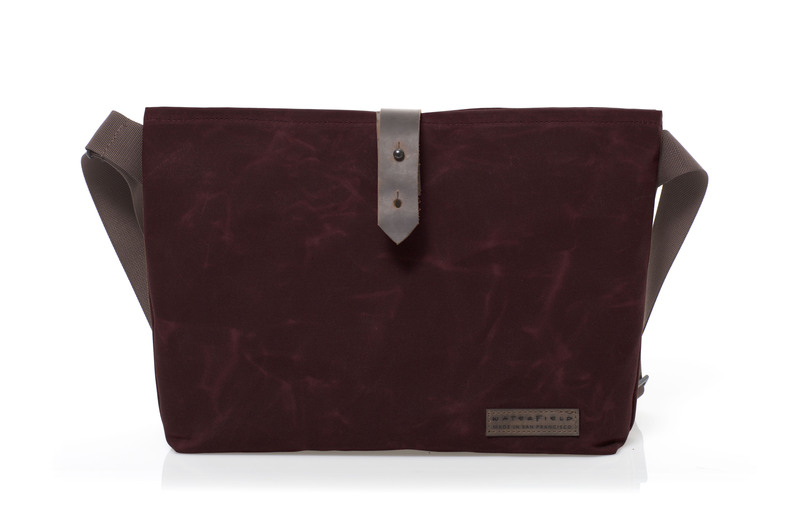 The resulting Vitesse is the quintessential bag for cyclists, commuters or travelers. With the Vitesse, owner Gary Waterfield returns to his bicyclist roots. Waterfield retained the classic bag’s best aspects—its straightforward design and lightweight, compact convenience—and added features to enhance durability, comfort and utility. Crafted from waxed-canvas to give the bag some structure and full-grain leather for style, this lightweight musette bag is built to last. 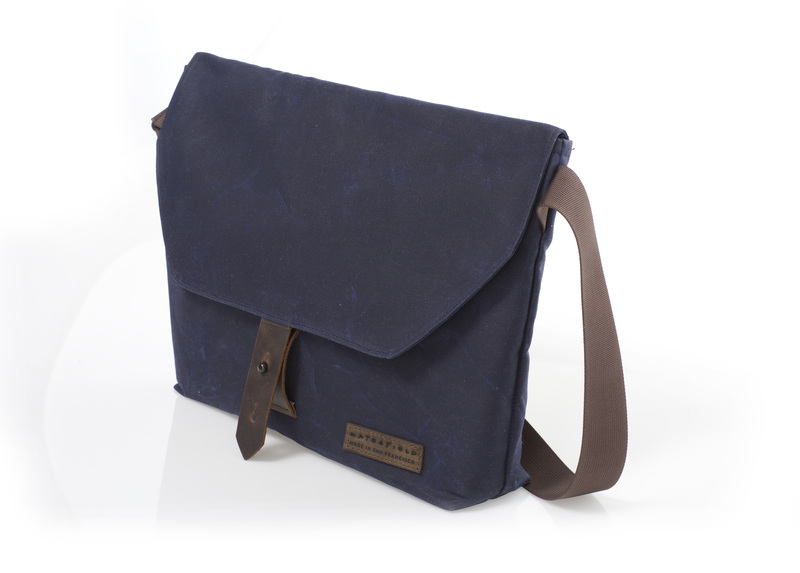 The quickly-adjustable nylon strap is thicker than the standard musette and is sewn at an angle for enhanced comfort. 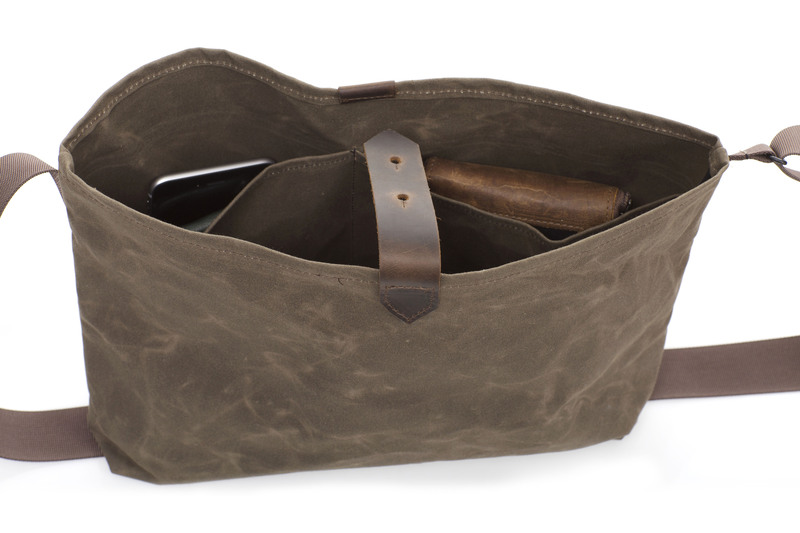 Like a classic musette, the Vitesse has one main compartment, but WaterField adds a bit of depth to it as well as two interior pockets, leaving space for wallet, phone keys and a few larger items—lunch, books, or a tablet or laptop in a sleeve. 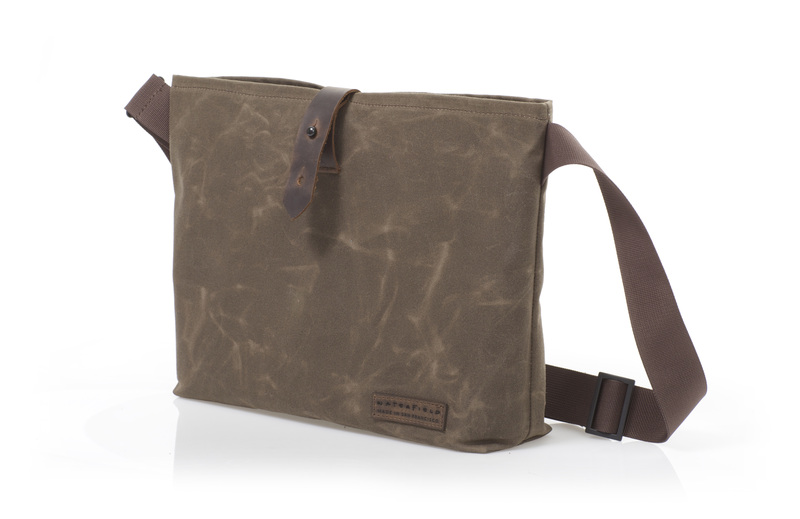 The traditional musette is open-topped; WaterField offers this style or one with a canvas flap for added security. Both secure with an adjustable leather tab and black metal stud. Worn cross body, the bag rests on the wearer’s back leaving his hands free. It easily swings around front to access contents. Three earthy colors—brown, burgundy and navy—allow cyclists to complement their jerseys and day users to to match their style. 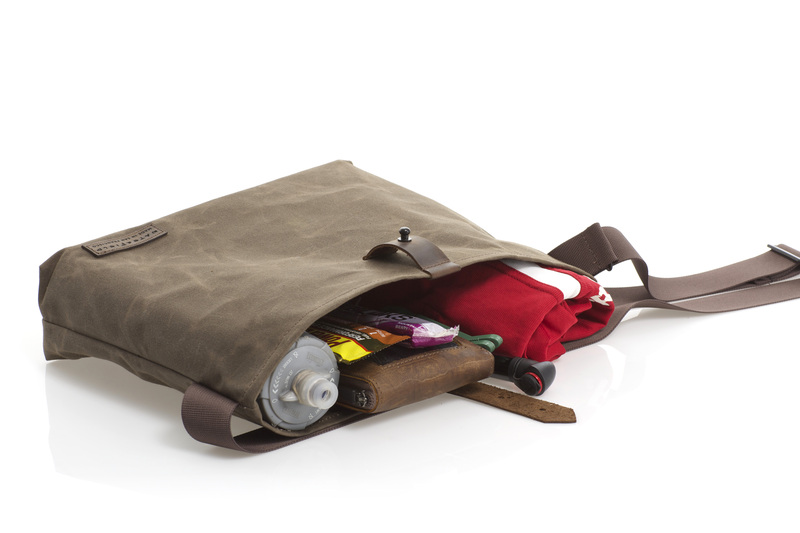 Easily folded and packed into another bag, the Vitesse makes a travel-friendly companion. 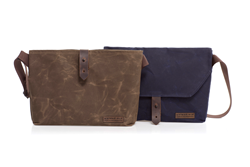 To keep laptops or tablets safe within it and other bags, WaterField offers the laptop SleeveCase, and the Ultimate SleeveCase and Outback Slip in custom sizes for most popular tablets. The Vitesse joins WaterField’s Cycling Ride Pouch—a jersey-pocket-sized case for smartphone, wallet contents and a bike tool emergency kit—in its cycling line up. Price: Standard—$69. With canvas flap—$89. Dimensions: 15.5 x 10.5 x .5~2 inches. Weight: standard—11.1oz. With flap—13.5 oz. Materials: Waxed canvas, full-grain, naturally-tanned leather, nylon webbing, metal stud closure. Colors: Brown, burgundy, navy. Grizzly brown, full-grain leather accents. 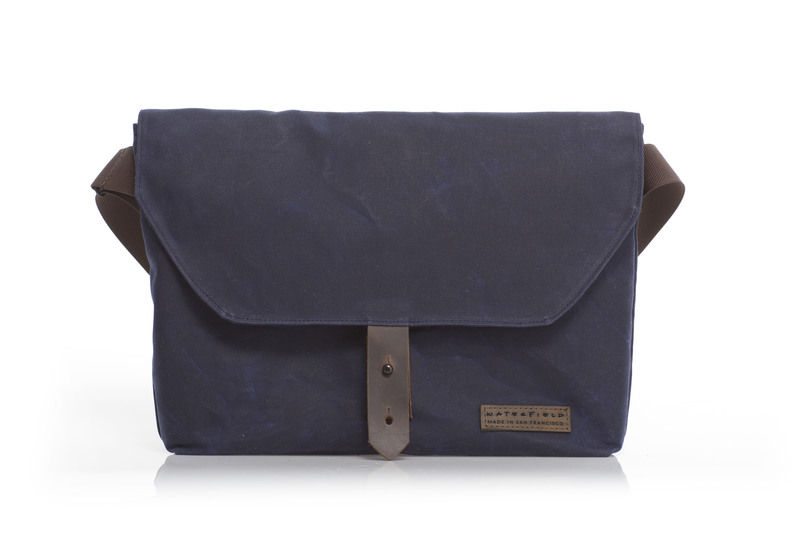 Available for pre-order at the WaterField Designs online store. Shipping begins by April 10, 2015.